Good alcohol-free beer doesn’t come cheap. And why should it? After all, most have the same ingredients as a standard beer. Then there’s the expertise and resources that go into creating a beer that has no alcohol but doesn’t compromise on taste. This can take months, if not years, of tweaking and experimentation to get right. Luke Boase, the founder of Lucky Saint, knows this all too well. 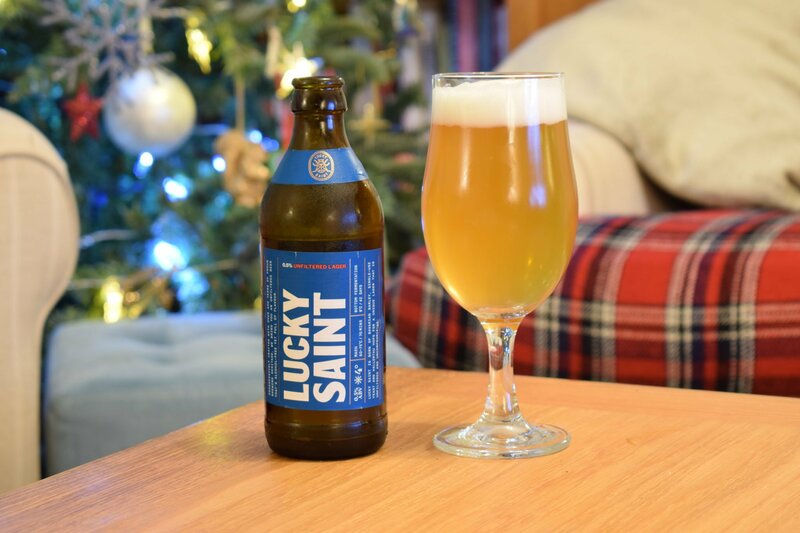 Luke had worked unsuccessfully with four separate brewers before he found a brewer prepared to work with him to put in the graft to produce an alcohol-free beer to be proud of. This involved making the decision to brew in Germany, plus a year of trial and error until they settled on the beer they wanted. The brewery also developed its own yeast strain to go with the beer’s other ingredients – water, hops and barley malt (unlike some mass-produced alcohol-free lagers, there are no vague “flavourings” listed on the label). Following brewing, the lager is then conditioned for 42 days. This is enough time for the sediment to settle so it doesn’t need filtering, which would result in a thinner beer. 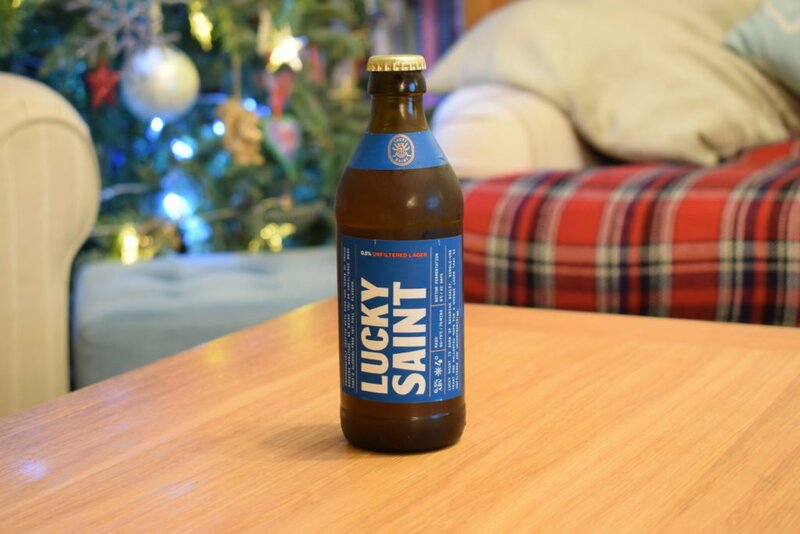 Lucky Saint removes the alcohol after fermentation, rather than brewing a low ABV beer from the off. It’s clear to see this lager is an unfiltered beer when it’s poured. It’s a delicious-looking hazy amber with a thick head. The aroma is sweet, fruity and malty. There’s a hint of lemon lurking when you take a deep sniff. The mouthfeel is luxuriously creamy, with light carbonation similar to a cask-conditioned ale. This makes a nice yin to the fizzy yang of a typical lager. There’s a dry finish. The flavour is malty and clean to begin. The fruitiness from the aroma then comes to the fore with sweet lemon leading the way backed by a pleasant medicinal taste that gives the beer a great depth of flavour. This gets more varied as the beer warms up. There’s little bitterness on sippage – it’s the aftertaste where much of the bitterness comes through. 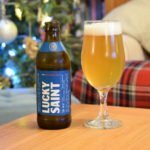 The founder of Lucky Saint put a lot of time and resources into creating a great beer and it shows. More interesting and flavoursome than your average alcohol-free lager, it’s the creamy mouthfeel makes this beer stand out. The low bitterness means it could also appeal to those who don’t normally drink lager or beer.